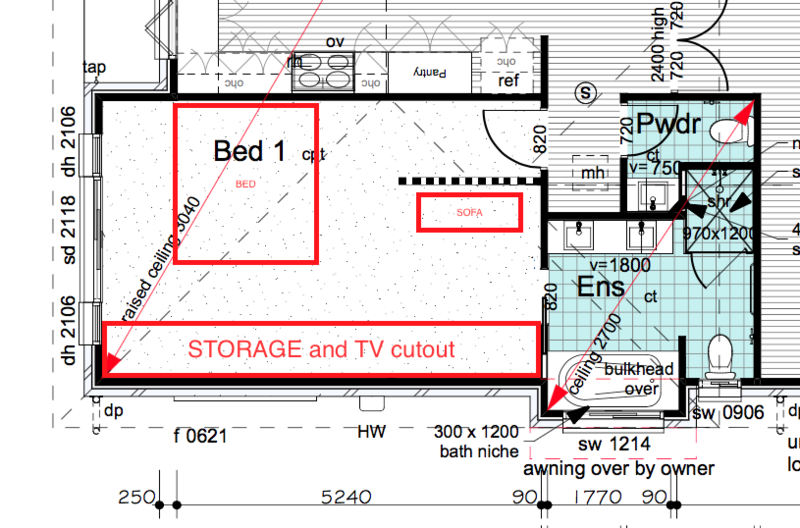 I'm trying to think of an alternative master bedroom layout... was wondering if the Walk-In-Robe concept would change in a few years. Anyone thought of replacing a WIR with a long row of storage? 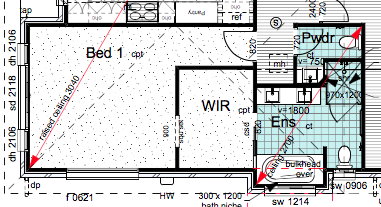 The dotted line is either a timber feature wall with see-through slots... or perhaps just a plain wall. Last edited by gummz on Dec 29, 2017 8:12 pm, edited 2 times in total. I can’t see the pics? But I have definitely considered doing a row on wardrobes instead of a walk in. I currently have a one sided walk in robe and honestly would prefer a wall of built ins instead. They’re more organised and take up so much less space! If you have plenty of room and a well fitted out 2 or 3 sided WIR I think they’re great but if space is limited or you just prefer more bedroom space I think built ins work just as well! Having said that, in our next house we’re hoping to do both. A two sided walk in and a short wall of built ins. Purely due to having excess room in the house haha. Thank you for your input. I've tried to fix the pictures however they are coming up as links. We did something simular to what mamz suggested. Something similar could work with your design. Hi there, does anyone know of a good Adelaide home extension company that will build a master bedroom plus ensuite in brick for a good price? Hi, Am interested in the walk right in collection that is at Style Master Homes, and have been trying to find a blog of someone who has already/currently building with them.